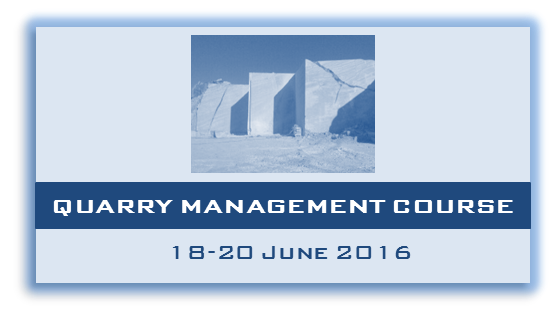 PERC TRAINING COURSE on “Mining Standard Reporting” (15th June 2016, in Marina di Carrara – Italy). This document is intended to provide You with all relevant information you need to proceed to registration to both Events. In case of a paper/presentation officially selected for STONECHANGE2016, written by different Authors, only one of them will be invited at FREE REGISTRATION FEE (please specify). Any Author interested in presenting a speech/presentation at STONECHANGE 2016 shall send the Title, the Abstract and Key words using the standard Form (see Call for Papers on website homepage), to the Speeches/Presentations Evaluation Committee (E-mail: papers@stonechange2016.com), not later than 20th March 2016. If selected he will receive a communication before 10th April 2016; after that he shall send the final speech/presentation in Power Point format to the same address before 20th May 2016, for final revision. Student fees are applicable only to full-time students. Students must provide a proof of their student status (student ID or certificate), certified by the signature of a supervisor and or University secretariat, by e-mail to the Secretariat of the Conference (see contacts). Student registration will be validated upon receipt of the proof of status. Members of Italian CNG, and EFG, and Members of EFG, PERC, CONFINDUSTRIA MARMOMACCHINE and EUROROC Board, can be registered using the discounted registration fee (see Registration Fee table below). In particular for Members of Italian CNG, APC credits for both Events will be attributed, based on existing Italian legislation. All other participants, not considered in categories above, shall pay the full “standard” registration fee as described in table below. Registered participants will receive a document confirming their registration to the conference and related Invoice for Registration fees. Upon request, the conference secretariat will issue a letter of invitation for visa application. As a proof of payment, a copy of the bank transfer must be sent by fax to the Conference Secretariat or by email to: m.ragone@immcarrara.it and/or secretariat@stonechange2016.com. Registration will be validated upon receipt of the proof of payment. Do NOT forget to indicate the first name, last name and affiliation of the participant on the bank transfer order. Bank transfer charges have to be paid by the registrant. Once registration is validated, registrants will receive a detailed invoice and an acknowledgement letter by e-mail. Registration by phone or by fax will not be processed. Note: Reimbursement will be processed after the conference. - after May 31st 2016: no refund. With paid registration, the participant to STONECHANGE 2016 and PERC TRAINING COURSE acknowledges that he/she has no right to lodge claims against the conference organizers should the meeting be altered, hindered, or prevented by unexpected political or economic events, unpredictable forces of nature, speaker cancellations or other unforeseeable events. The organizers of STONECHANGE 2016 and PERC TRAINING COURSE do not accept any responsibility for individual medical, travel or personal insurance. Participants are strongly advised to have their own travel insurance policies to cover risks including (but not limited to) loss, cancellation, medical costs and injury. STONECHANGE 2016 and/or the conference-course organizers will not accept any responsibility for any delegate failing to take out adequate insurance.